English-French avant-pop band Stereolab is Colorado-bound in autumn. 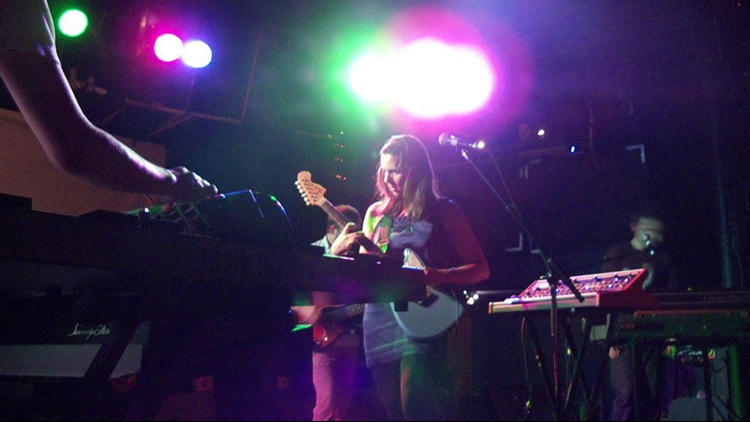 ENGLEWOOD, Colo — Stereolab is coming to the Gothic Theatre in Englewood on Monday, Oct. 7. Doors for the autumn concert open at 7 p.m. with a show start time of 8 p.m. Ticket go on sale Friday, Feb. 22, at 10 a.m. at this link or at the Gothic's website. Tickets start at $28. "3rd May 2019 sees the start of Stereolab's 7 album reissue campaign when 1993's 'Transient Random Noise-Bursts With Announcements' and 1994's 'Mars Audiac Quintet' will be the first albums reissued, via Warp Records and Duophonic UHF Disks, as expanded and re-mastered editions on vinyl, compact disk and digital." The band will also reissue "Emporer Tomato Ketchup," "Dots and Loops," "Cobra" and "Phases Group Play Voltage in the Milky night" in August and "Sound-Dust" and "Margerine Eclipse" in November. Stereolab will be touring throughout Europe beginning in late May through the end of June. Their North American tour begins in October in Montreal and ends in mid-November in California. If you are interested, you can get pre-sale access to get your hands on some tickets Feb. 21 instead of Feb. 22.